Guelph Symphony Orchestra kick off their10th Anniversary season on October 23 with Mozart’s Marriage of Figaro. In their 10th season they will be offering five concerts by five guest conductors. One of whom will be selected as the new resident conductor of the GSO, starting in the 2011-12 season. Mozart’s MARRIAGE OF FIGARO launches the new season on Saturday October 23, 2010 at 7.30 p.m. at Guelph’s River Run Centre. Conducted by Kristian Alexander, this will be a concert performance of Mozart’s comic masterpiece, featuring a strong cast including such Guelph favourites as Andrew Tees as Figaro, Michael York as the Count and Marion Samuel-Stevens as the Countess. Brian Otto will narrate this trimmed-down performance which will include all your favourite music, sung in English. Book early to avoid disappointment! 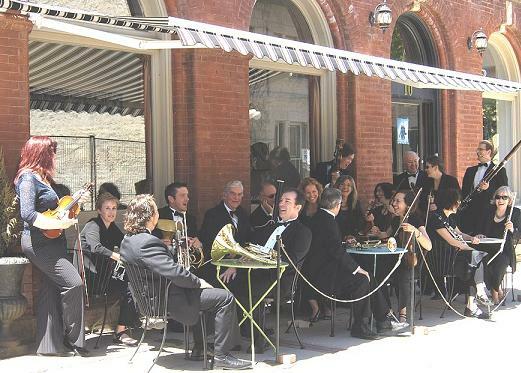 Date: Saturday October 23, 2010 at 7.30 p.m.
Royal City Rag has two tickets to giveaway for the Guelph Symphony Orchestra performance of the Marriage of Figaro. If you would like them, please e-mail us at info@royalcityrag.ca. First person to e-mail us, gets them! UPDATE, October 16, 2010: The two tickets for the Marriage of Figaro have gone to Stephanie Tucker. Congratulations, Stephanie!